Let the wind carry you in this Double D Ranchwear® Arizona Highway Vest. Loose fit top drapes the body for a breezy feminine look. Lightweight, oversized design with a pattern-dyed finish provides superior comfort for all-day wear. 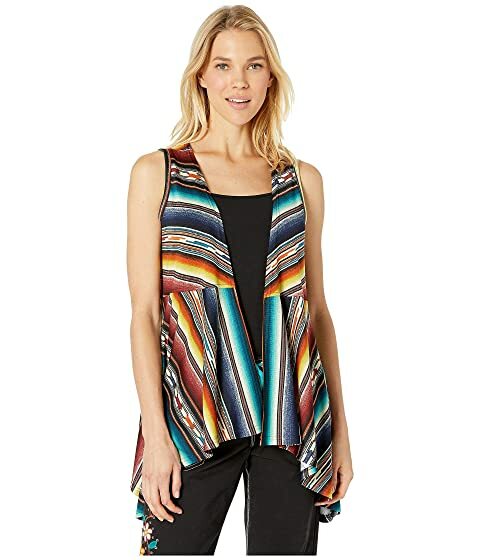 Open front vest with rotated pattern designs. Southwestern, blanket-style design work throughout. Sewn logo patch hits left hem.